The last few months have seen the disaffected working class become the bread and butter of newspaper comment sections. They all tell us that globalisation has stunted the economic life of millions of people, and that they are more than ready to rebel against the liberal order by doing mad things like leaving the EU and electing Donald Trump as President. So when I walked into a job on the floor of a dogfood factory this summer I thought that I would find a workforce unable to contain its frustration with the establishment. What I found instead was a diligent group of people who were, on the whole, reasonably contented with the way their working lives were going. They worked for eight hours, and could then spend the rest of the day doing whatever they wanted. They socialised at the weekends and had enough money to go abroad during some of their twenty paid holiday days. In regards to politics, anti-establishment or otherwise, very few people had any interest. There was certainly some dissatisfaction, but there was little desire for drastic change. The trade union had no presence on the factory floor because nobody attended the union meetings. So these factory workers were certainly not set on tormenting the liberal establishment – they had no reason to employ their votes in causing havoc. But factory workers are no longer representative of the working class. Since 1978 their portion of the workforce has fallen from 26% to 8% – and their earnings are now relatively good. Many workers in retail and hospitality will tell you that they receive only part-time employment, have no job security, work unsociable hours, and are denied their statutory work breaks. Meanwhile, the share of workers garnered by the services sector has risen by 20%, and it is the people at the bottom of this who are the economy’s real underdogs. These workers have serious reasons for being annoyed. More aggravating than anything else is the fact that they are not paid adequately – 70% of those employed by hotels and restaurants earned less than the living wage in 2015. On top of this, many workers in retail and hospitality will tell you that they receive only part-time employment, have no job security, work unsociable hours, and are denied their statutory work breaks. When today’s unskilled workers make the comparison between their service jobs and the relatively placid manufacturing jobs of their parents, it quickly becomes apparent to them that today’s economy is out to get them. Their hourly wage is measly, and their working hours are too short to generate a comfortable income. As business shifts they itinerate between different employments, and their crucial skill is that of pandering to the people who are handing over the money. Infuriatingly, there is nothing that this sort of worker can do to improve their situation. Through centuries of agitation the labour movement has fortified the position of manufacturing workers – but in the newly burgeoned services sector, only a few decades old, the employer remains securely in the ascendancy. The current political system offers very little help, so the under-represented waitresses and cashiers take pot-shots at it, looking for some way to make a change. They leave the EU, they champion nationalism, and in Greece these workers have even voted for the Golden Dawn, a neo-fascist party. Anyone with nothing to lose might do the same in such circumstances. If we want to annihilate the root cause of political disaffection amongst service workers, they must be co-opted in the same way as manufacturing workers have been. As it stands, the working class in the service sector is open to predation, and they are becoming more politically vindictive because of this. To improve their position they need to engage in collective bargaining and campaign for legislation – there is no impetus for employers to act voluntarily. What service workers require is full-time work, job security, and some sort of ascendable pay scale. What service workers require is full-time work, job security, and some sort of ascendable pay scale. If these needs are fulfilled, then people will be happier, and maybe the echoes of recent political ructions will begin to die away. If they are not fulfilled, then discontent will only grow. There have always been and there will always be unskilled labourers, and the nature of their work means that they will always need to be protected, regardless of which sector of the economy offers them employment. 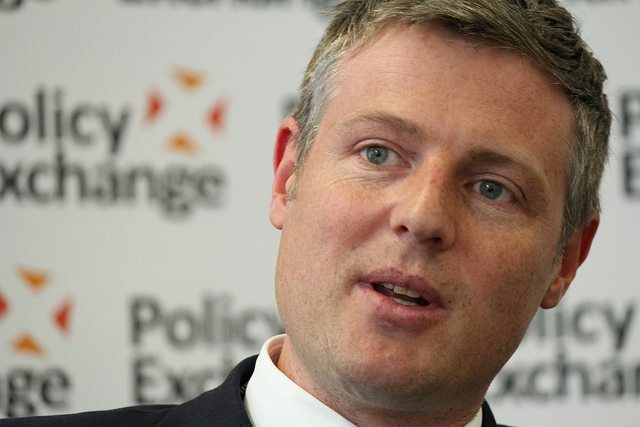 Goldsmith: He may be no BoJo, but is that a bad thing?